One of he most resilient forms of entertainment is the short story. Historically ithas always been a popular mode of amusement. It provides a distraction that can besavored and enjoyed quickly. 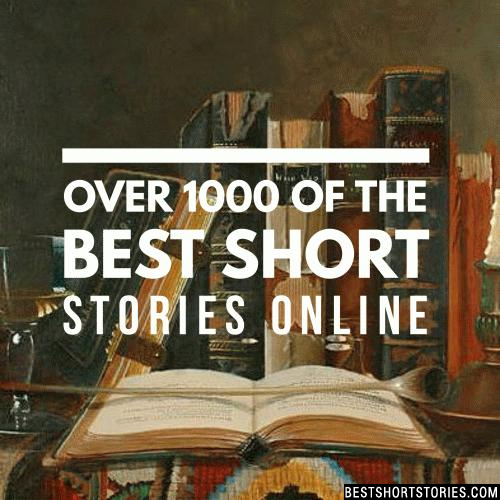 Unlike longer fiction a short story is a self contained bit of excitement that the reader digests with secret satisfaction in a brief interlude. Long ago, before even our grandparents' grandparents' grandparents were alive, the land of Israel was ruled by a wicked king named Antiochus Epiphanes. Of all the stars that shine in the sky, there had always been one that was brighter and more beautiful than the others. The whole sky's planets and stars looked on in admiration, wondering what could be the important mission that this star was to carry out. And the star itself did exactly the same, aware of its own incomparable beauty. On the morning of the third day, the sea calmed. Even the most delicate passengers--those who had not been seen around the ship since sailing time-- emerged from their cabins and crept on to the sun deck where the deck steward gave them chairs and tucked rugs around their legs and left them lying in rows, their faces upturned to the pale, almost heatless January sun. Once upon a time, there was a beautiful forest. There lived two trees, named Chintu and Pintu, who were brothers. Chintu and Pintu had many friends like the rabbit and his brothers, the group of monkeys, the family of birds, the Bunky bear and the wise old wolf. Between eight and nine o'clock in the morning. A dark leaden-coloured mass is creeping over the sky towards the sun. Red zigzags of lightning gleam here and there across it. There is a sound of far-away rumbling. A warm wind frolics over the grass, bends the trees, and stirs up the dust. In a minute there will be a spurt of May rain and a real storm will begin. Which is more important, books or people?" The question was posed in jest, but over the years I had come increasingly to believe that if the librarian's veins were opened, ink would flow from them rather than blood. Even so, I did not expect him to answer as he did. "Books." The librarian held out the saucepan. "More cocoa?" When Molly came in from the chicken house, she looked very sad. "O dear me!" she sighed. "I'm so disappointed!" "What is it, sunny girl?" asked mother. "Red Top hasn't laid an egg, and to-morrow is Easter. I shut Red Top in all by herself, so I should know that it was her very own egg, and she hasn't laid any."